The island of Ibiza has a fantastic weather for all those who love the sun. Its more than 3,000 hours of sun a year makes Ibiza the perfect holiday place for those who are avoiding cloudy and rainy weather. Nevertheless, in Summer the weather can be too warm for the ones that are not used to it. During the summer months the temperatures can reach the 40 degrees Celcius. In the period from June until September, the average number of sunny hours is 10 and the average temperatures are between 19 and 35 degrees Celcius. The high season in Ibiza is from May until October. During this period you can enjoy your holidays with a high percentage of probability of enjoying sunny and warm days. Although you can imagine in Ibiza the temperatures are always warm, in winter temperatures can experience a deep fall, but never below zero. The average of sunny days during the period from October until March is 6 hours and the average temperatures are between 6 and 24 degrees Celsius. On the other side, there are not a lot of rainfalls and the temperature of the sea is around 26 degrees Celsius. 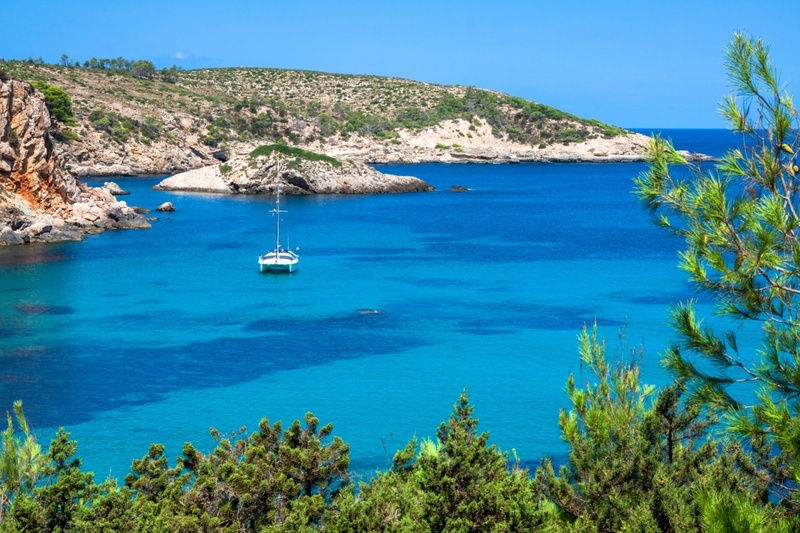 It is becoming more and more popular to visit the Balearic Islands during the winter months, when you can enjoy the sunny days with a lower temperature. If you come in winter, you can discover the wide range of activities you can do during the low season, in a more peaceful ambience and getting to know in depth how is the local lifestyle.